Get ready for a taste sensation with our Favorite Egg Salad Sandwich Recipe. The zippy mustard dressing on this egg salad sandwich recipe is amazing. Combine all ingredients except toast slices and arugula. 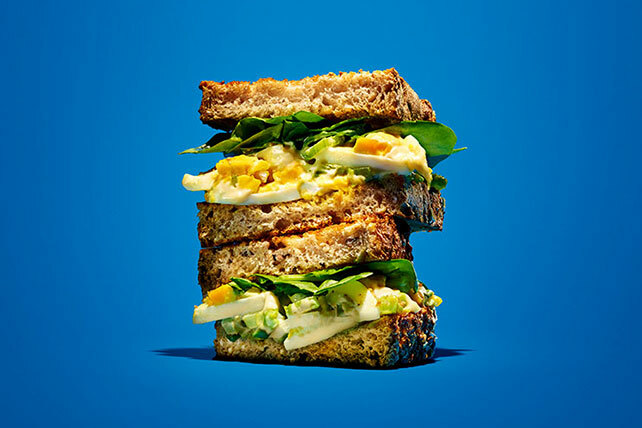 Fill toast slices with egg salad and arugula to make 4 sandwiches. Substitute baby spinach leaves for the arugula.